The SWS-200LW is optimised for use in applications where accurate and reliable visibility and present weather measurements are required from a low power light weight sensor. When only solar power is available or when reliance on batteries is essential the SWS-200LW is the perfect choice for a fully featured visibility and present weather sensor. With a power consumption of just 2.9W the sensor places a minimum burden on the supply system and can be intermittently powered for even lower power consumption. The sensor measures: visibility (MOR), fog, haze, drizzle, rain, snow and general precipitation according to WMO 4680 table codes. The enhanced present weather information from the SWS-200 is due to the backscatter receiver, which allows accurate precipitation type and intensity information to be calculated. The physical design has been optimised to reduce both the size and weight of the sensor whilst retaining the performance and robustness expected of a Biral visibility sensor. 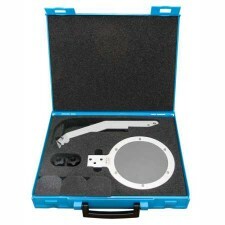 For use in aviation applications the sensor can optionally be fitted with an interface to the ALS-2 Ambient light Sensor. The SWS-200LW was developed as a tactical sensor for use by special forces. The power consumption has been reduced to allow operation from batteries or combined solar PV panels and batteries. The enclosure has been redesigned to provide a lightweight yet robust sensor that is also smaller than the standard SWS-200. 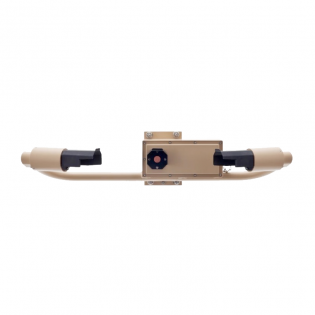 Whilst initially intended for use by special forces the features of the SWS-200LW make it suitable for use wherever a high quality, lightweight low power combined visibility and present weather sensor is required. 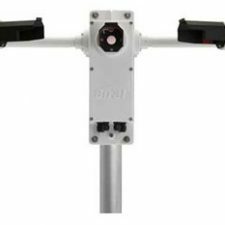 The 45° forward scatter angle and 850nm infrared light source used by the SWS-200LW provide the best possible visibility measurement accuracy in all weather conditions. Visibility is output as Meteorological Optical Range (MOR) whilst World Meteorological Organisation (WMO) Table 4680 codes are used to report present weather. The backscatter receiver, unique to Biral present weather sensors, gives the SWS-200 the ability to discriminate between liquid and frozen precipitation with exceptional accuracy. Liquid precipitation scatters very little of the transmitted light towards the backscatter receiver, whilst frozen precipitation, be it ice pellets, hail or snow, scatters a significant amount in this direction. By observing the ratio of forward to backscatter for each precipitation particle the SWS-200LW provides a much more accurate assessment of present weather than competitors’ sensors which rely on measuring the size and velocity of particles for classification. The reliance on size and velocity measurements for the determination of precipitation type is error prone as the velocity measurement is dependent on the local wind speed. In common with all Biral visibility and present weather sensors the SWS-200LW uses 2kHz modulation of the light source combined with narrow pass band optical filters and synchronous detection at the receiver to ensure the measurement is not affected by bright or flashing lights. This design also ensures the sensor accurately reports visibility during precipitation whilst allowing the accurate reporting of drizzle, rain and snow. The horizontal hood design eliminates the problems caused by surface reflections that are a source of error in sensors employing look down hood geometries. The optical windows of the sensor are fitted with low power heaters to prevent the formation of condensation. Window contamination monitoring and compensation allows the visibility output to maintain its accuracy even as dirt builds up on the optical surfaces. The sensor reports the window contamination in the output message using two stages of warning flags allowing cleaning to take place in a convenient manner. Communication with the sensor is over a serial RS232 data link. ASCII encoded data is used and the sensor can operate in either a polled or broadcast modes. The data message can include a time stamp from the internal real time clock in addition to the standard visibility, present weather and basic self-test information. The sensor operates from a low voltage DC supply and requires just 2.9W. The low power window heaters that can be set to only operate when condensation is detected take an additional 1.7W. The higher power hood heaters are supplied separately allowing the use of an unregulated heating supply. The SWS-200LW is a single lightweight unit that can be easily installed by one person. The sensor enclosure is constructed from aluminium which is surface passivated and finished with a powder coat paint. It is designed for use in all types of weather and has a wide operating temperature. 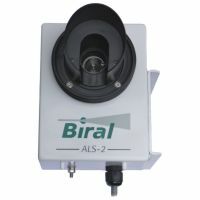 To find out more about this instrument or to discuss your application requirements please do not hesitate to contact Biral. Biral offers free advice and technical support for the lifetime of the instruments we sell. Once you have purchased the unit you can always contact us for help using the links on our Technical Support page.